Dr. Rajat Sethi is the doctor who set up Smile 'n' Shine Dental Care Centre. Dr Shruti Sharma and Dr Isha Rastogi are consultant dental surgeons at Smile 'n' Shine dental care. They have special interest in cosmetic dentistry and are active participant in many continuing education programs in cosmetic dentistry. Dr. Shalini Grover( M.D.S) and Dr. Sahana Yadav (M.D.S) are our specialist Periodontist. Their credentials include research and clinical work in the latest bone regenerative materials.They specialize in the prevention and treatment of advanced gum disease which includes bleeding and swelling of gums, bad breath, pus discharge from the gums and loose teeth. They also specialize in cosmetic gum improvement and rebuilding the lost bone around the teeth by gum surgeries and bone . Dr. Varun Grover (M.D.S) is the visiting consultant orthodontist at Smile 'n' Shine dental care centre. His areas of special interest include invisible orthodontics in children and adults for correction of irregular teeth. He has delivered remarkable results by implant derived anchorage for correction of malocclusion or irregular teeth. Dr Mridul Seth (M.D.S) is the consultant oral and maxillofacial surgeon at Smile 'n' Shine dental care centre. He specializes in management of wisdom tooth complications and trauma/fracture cases. He is also associated leading hospitals in the city. Dr Supreet Sawhney is the oral surgeon and implantologist who manages dental implant cases ,especially immediate loading implants. Dr Monika Tandan (M.D.S) is the visiting consultant endodontist at Smile 'n' Shine dental care centre. Specializes in root canal treatments including single sitting RCT's, post cores and endodontic surgeries. Dr. Piyush Tandon (M.D.S) is the consultant prosthodontist at Smile 'n' Shine dental care centre and he is in charge of making all complete and removable partial dentures here. He is acssociated with a leading college in N.C.R and a few leading clinics. 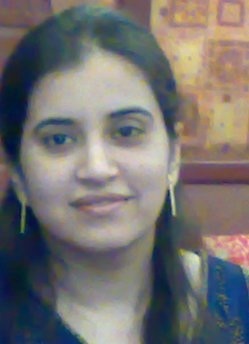 Dr. Gurleen Kaur is visiting pedodontist or paediatric dentist at Smile 'n' Shine dental care centre. She takes care of child dentistry at Smile 'n' Shine dental care centre and specialises in space loss management and root canal treatment in children.